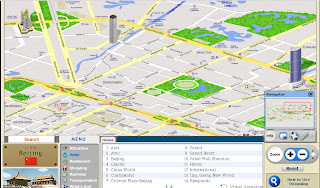 I like browse maps if I want check some places or go somewhere, it is easy way to know location, another hand is fun. Onion Map is a cool map site that shows you an interactive map of some tourist attraction cities around the world, such as New York, Paris, Beijing, Hong Kong, Roma, and so on. 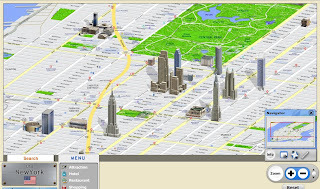 It is a tourist map, has 3D model, so you can see some 3D buildings on map. It also offers some tourist information such as hotel, restaurant, shopping places, transportation. 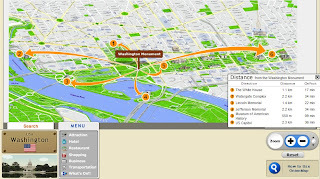 It has an additional information about distance from a center to other several place, like in Washington DC, you can find the distance that from the Washington Monument to The White House, Lincoln Memorial, US Capitol. It is a really cool map.